The first Bluff Dale Methodist camp meeting occurred in April, 1881, at a brush arbor beside the Paluxy River with more than forty people coming from as far away as fifty miles. In 1886, the church was chartered with the Texas Conference of the Methodist Episcopal South denomination with five other area churches. Only the Bluff Dale and Morgan Mill churches still exist from that organization. The first church, a wooden frame structure with a bell tower, was built in the late 1800's. Captain W.N. Freeman was the superintendent for this early church, and J. J. Harris was the pastor. The congregation grew with increased farming and ranching in the area, and by the turn of the 20th century, an average of fifty people was attending worship service. This old church was replaced with a new red brick facility in 1956, and this still serves the community of Methodists today. In 1968, the Methodist denomination merged with the Evangelical United Church so the local church became the Bluff Dale United Methodist Church. 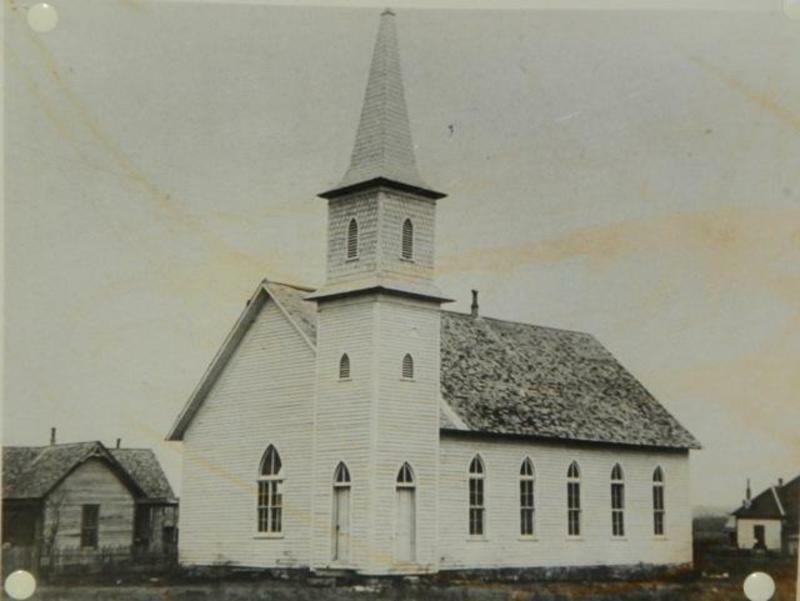 As Bluff Dale saw its population dwindle in the 1960’s due to an exodus of young people moving to the metropolitan areas for employment, the church also suffered. In 2000, the Bluff Dale church was included in a Rural New Church Development program of the Central Texas Conference and membership began to grow once more. The housing development, Mountain Lakes, brought new members who add sustenance and vitality to the congregation. The Bluff Dale United Methodist Church is a unique blend of those who can trace their ancestry back to a charter member from 1886, and those have just moved to the community and have chosen to make this their church home. Together they continue the traditions and heritage of the past while bringing new energy and inspiration in saving the spiritual needs of members. The United Methodist slogan of “Open Arms-Open Hearts” is alive and well here.